Contact the Law Offices of Cardaro & Peek, LLC today. If you or a loved one has suffered from an injury, illness or worse due to an infection that was contracted at a hospital, a liability case may not be cut and dry. It’s often hard to tell who is at fault for cases of infection, and the possibility that the victim will be left without legal recourse is high. Knowing how to identify infection types and knowing when to take legal action is essential for ensuring you and your loved ones are protected. One of the most common types of infection occurs at surgical sites. While surgical site infections can occur for a variety of reasons, they are often the result of incorrect treatment of the open wound. Unsanitary conditions, due to lack of proper care, insufficient antiseptics, or dirty tools, can all contribute to an infected surgical site. When a patient is hooked up to a device, often in the form of a catheter, IV, or respirator, a mistake can cause a severe and fatal infection. Any device that is attached to the body must be kept clean and regularly inspected, or else the potential for infection increases. Respiratory illnesses and germs carried by air often pose the highest risk for infection when in a hospital. These illnesses are difficult to prevent, especially for the most at-risk patients. Even when all protective measures are taken a respiratory infection can take hold due to the nature of hospitals. However, there are still instances where respiratory infections could be avoided if better cross-contamination methods were in place. One of the most significant obstructions to taking legal action is that infections are often difficult to trace. If the infection occurs after release proving the malpractice becomes even more difficult, although it is not impossible. 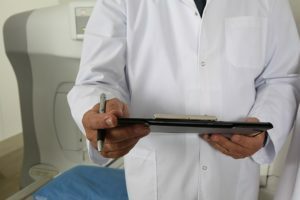 When you find that an infection has occurred, it’s best to get in contact with a third party medical professional and a malpractice lawyer as soon as possible. The lawyers of Cardaro & Peek, LLC have the experience and resources necessary to investigate and litigate all types of medical malpractice claims throughout Maryland and Washington D.C. Cardaro & Peek, LLC has medical personnel on staff and has access to nationally recognized, board-certified physicians and other experts, to assist in the investigation, analysis, and prosecution of all types of medical malpractice claims. If you or a loved one have experienced malpractice, give us a call at 410-752-6166. Please visit our website www.cardarolaw.com and follow us on Facebook, Twitter, Google+, and LinkedIn for more information. This entry was posted on Friday, October 12th, 2018 at 4:24 pm. Both comments and pings are currently closed. The lawyers of Cardaro & Peek, LLC have the experience and resources necessary to investigate and litigate all types of medical malpractice claims. Cardaro & Peek, LLC has medical personnel on staff and has access to nationally recognized, board-certified physicians and other experts to assist in the investigation, analysis and prosecution of all types of medical malpractice claims. Each case is different and past results are no guarantee of future results. We serve the following localities: Anne Arundel County, Baltimore, Laurel, Baltimore County, Catonsville, Dundalk, Essex, Parkville, Randallstown, Towson, Woodlawn, Pasadena, Arbutus, Cockeysville, Middle River, Perry Hall, Pikesville, Reisterstown, Rosedale, Montgomery County, Aspen Hill, Silver Spring, and Riverdale.